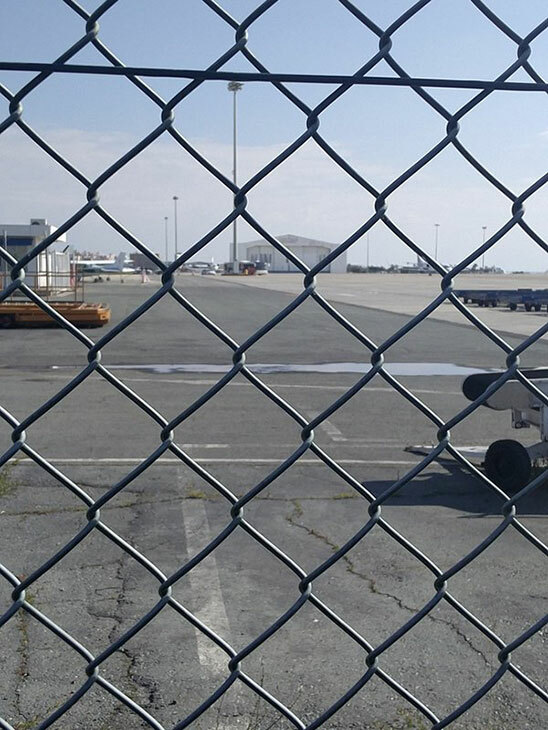 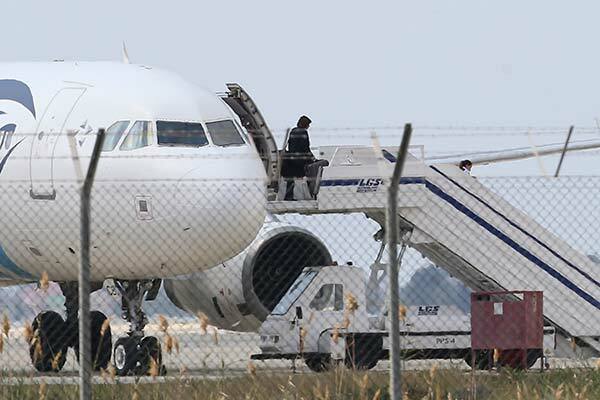 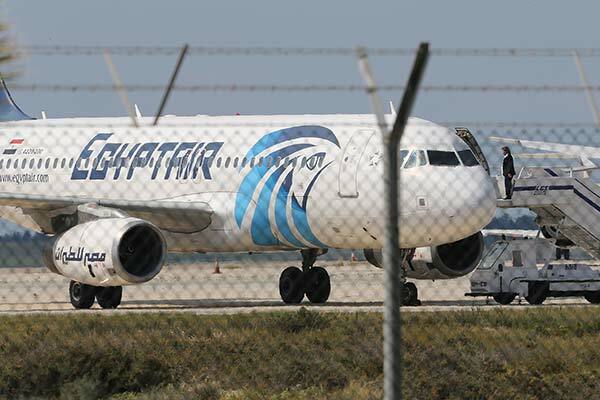 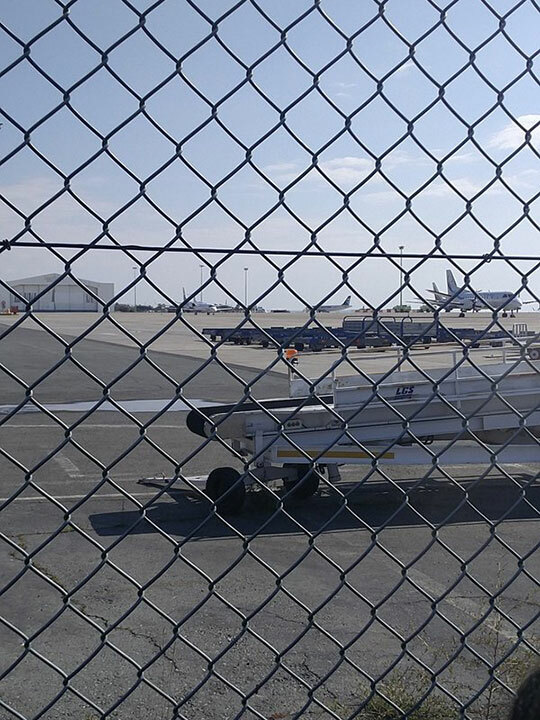 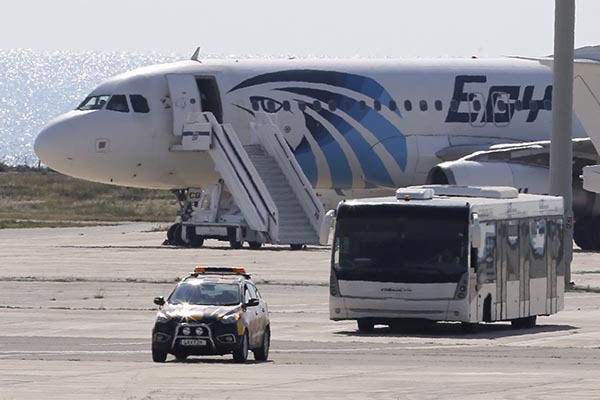 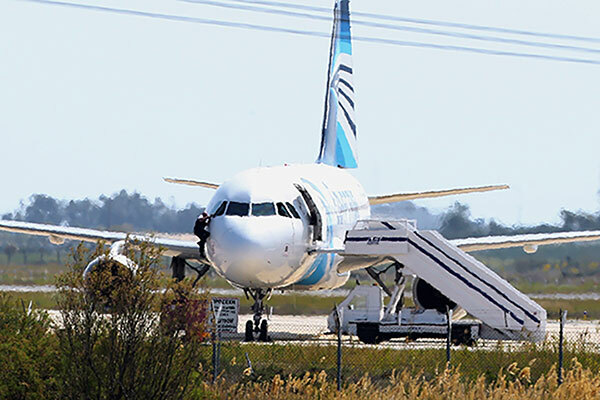 CAIRO, Egypt -- An Egyptian man hijacked an EgyptAir plane Tuesday and forced it to land in Cyprus, where most passengers were eventually allowed to get off, though four crew members and three passengers remained on board with the hijacker, Egyptian and Cypriot officials said. 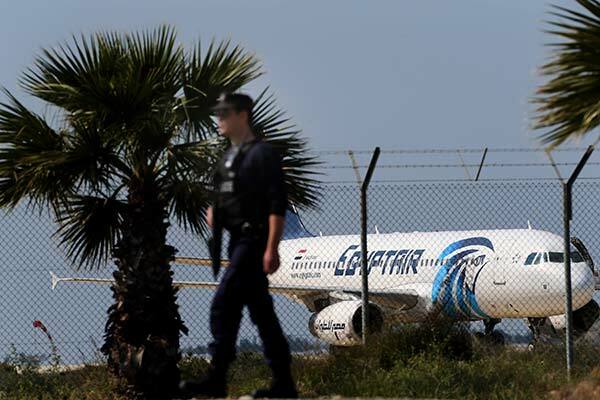 There was some confusion about the hijacker's identity. 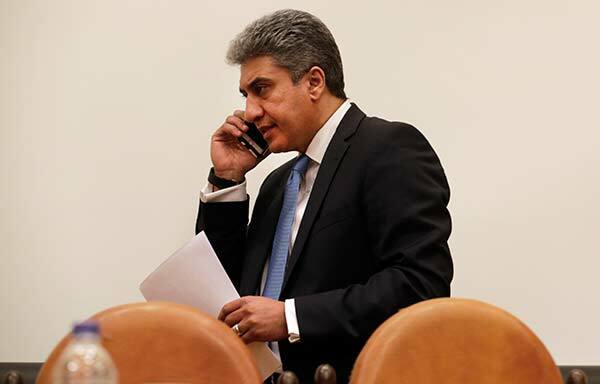 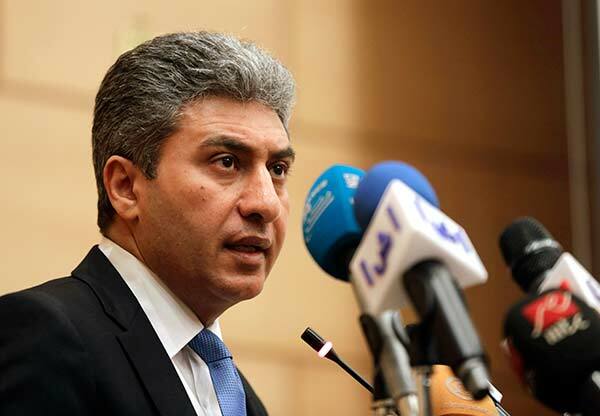 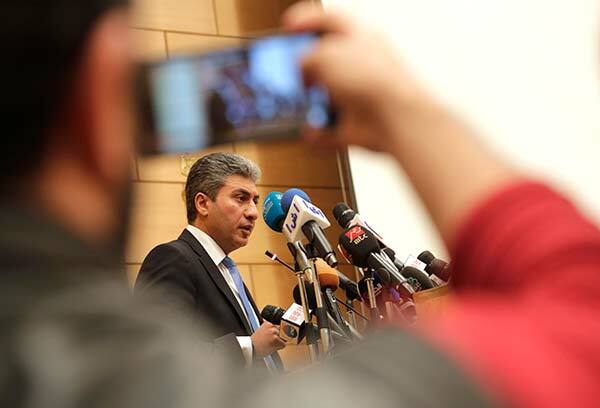 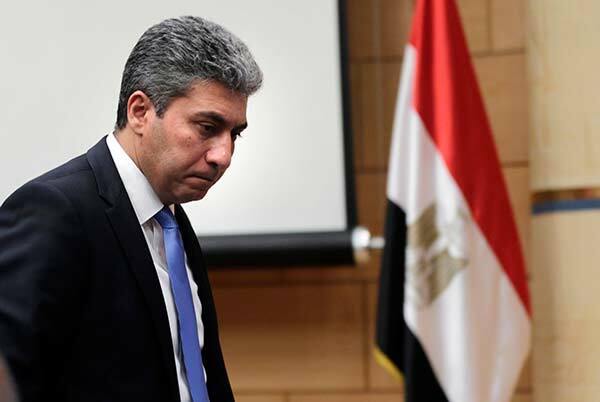 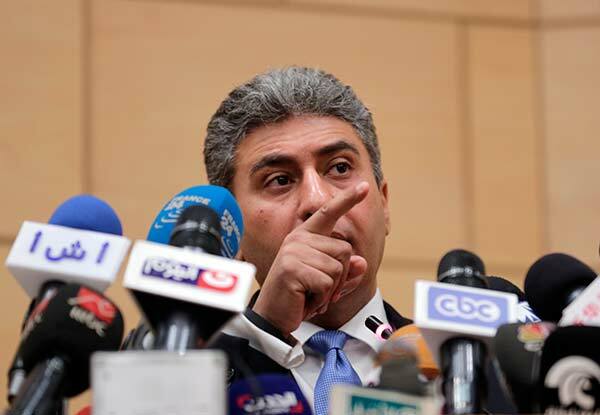 At a news conference in Cairo, Egypt's Civil Aviation minister, Sharif Fathi, refused to identify him. 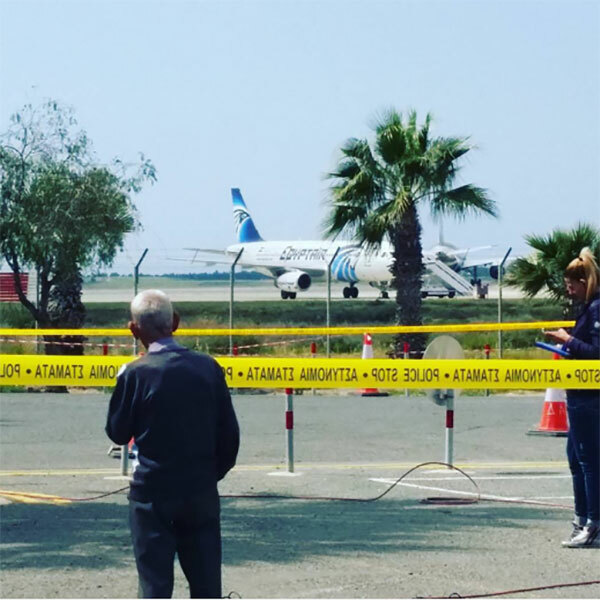 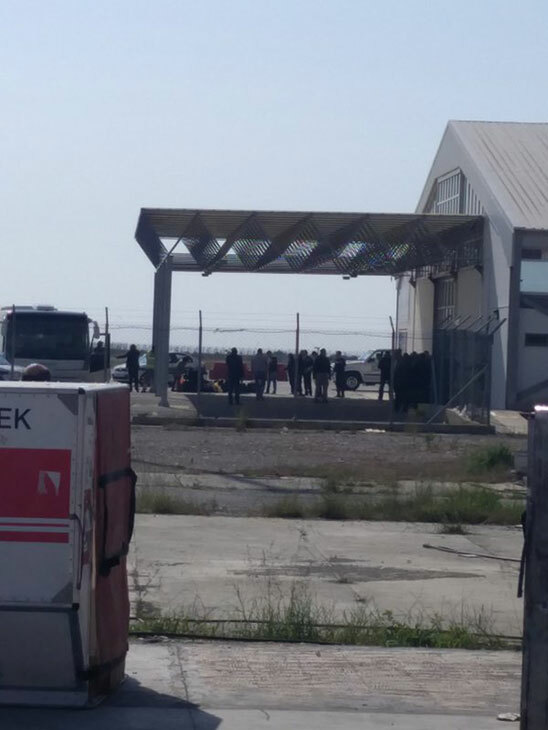 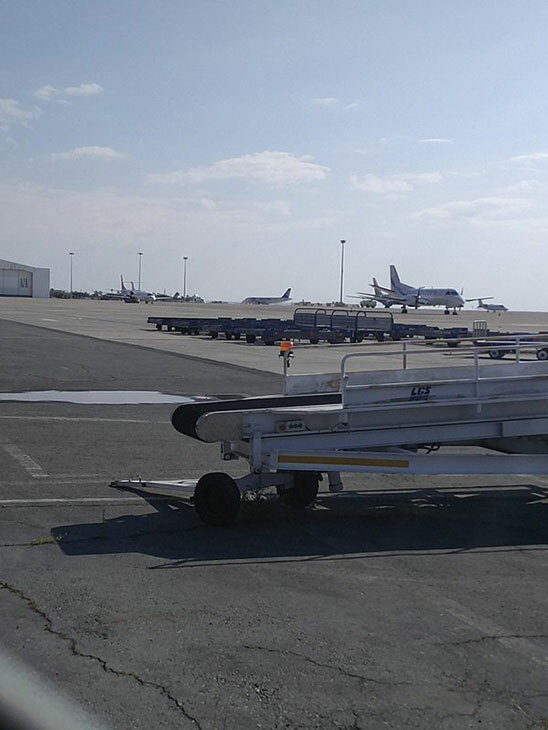 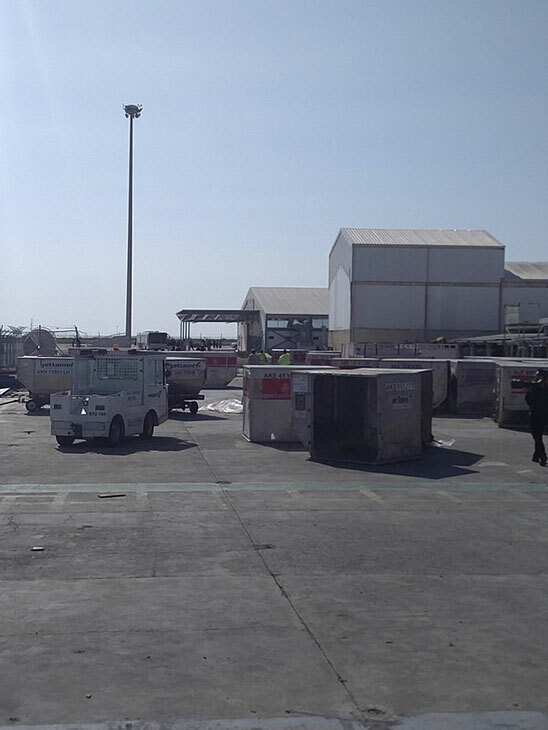 The plane landed at the airport in the southern Cypriot city of Larnaca, also on the Mediterranean. 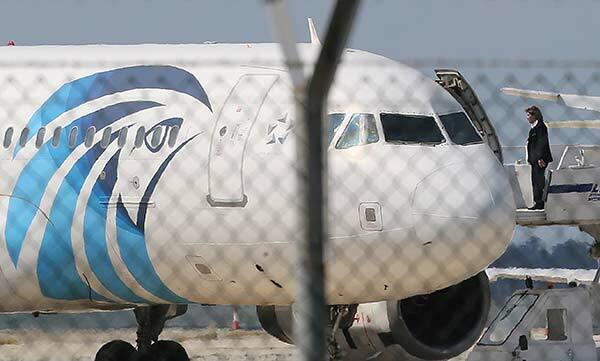 A statement from the Egyptian Civil Aviation Ministry statement said the foreigners on board included eight Americans, four Britons, four Dutch, two Belgians, a French national, an Italian, two Greeks and one Syrian. 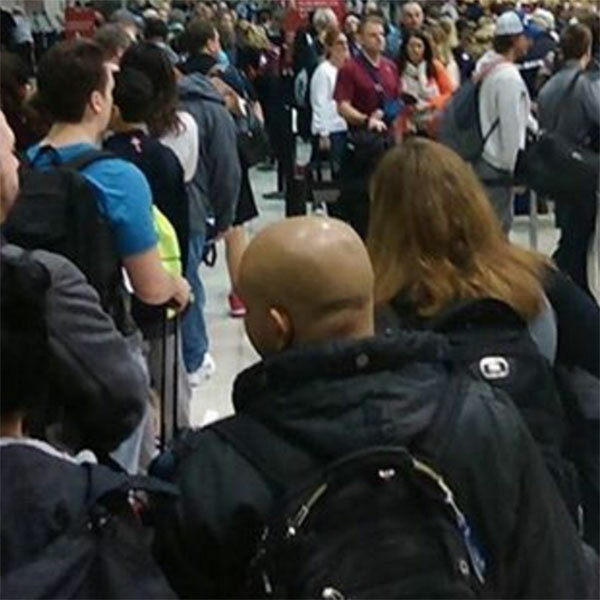 Three other foreigners could not be identified. 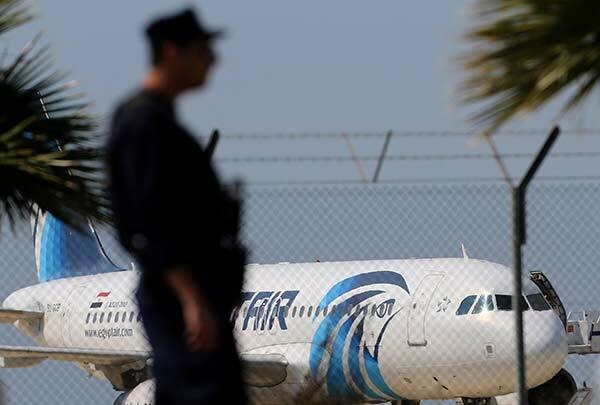 Fathi did not give the nationalities of those who remained on the plane.